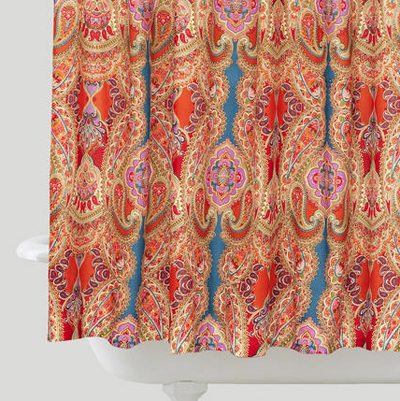 The Venice Paisley Shower Curtain adds a whimsical air with its rich paisley print. Crafted in India of 100% cotton, this shower curtain is a vibrant piece of red and orange tones with a blue accent that will enliven your bathroom décor. $29.99. Buy here.